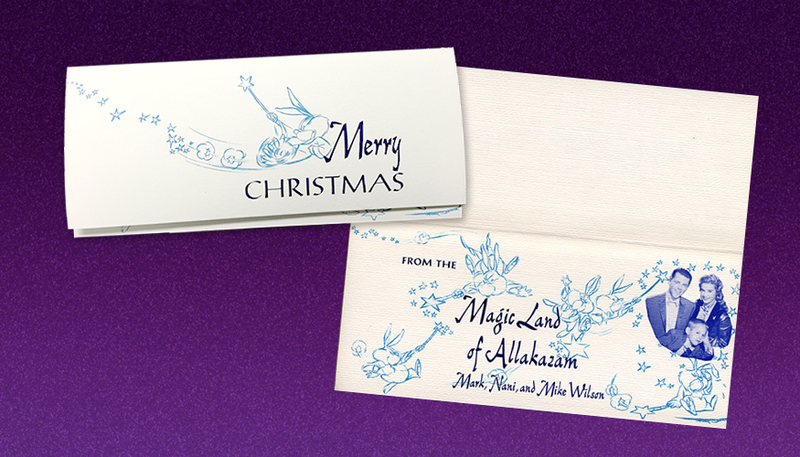 1967 Disneyland Story, Allakazam Archives in the Media, and Mother's Day Update! Thank you to all our Allaka-Friends! It’s hard to believe it’s already Mother’s Day! Each week I promise my folks to get the next newsletter out to you all, and today Mom said, “Don’t take me to breakfast, get the newsletter out instead!” So, with that as a motivator, how could I say no? That’s why, this newsletter is dedicated to all the Mothers that encourage their kids to get to work and get something done, even when it means sacrificing their own "Mother's Day!" Here it's the end of the day, and I am finally getting this newletter out. This is quite an undertaking to make each of these. I'm so thankful for the positive feedback and support from all of you. Later in this email, there is a link to a special offer we are making. Hopefully these collectables will be popular and will start to cover some of the costs of this important preservation work, we lovingly call, The Allakazam Archives! 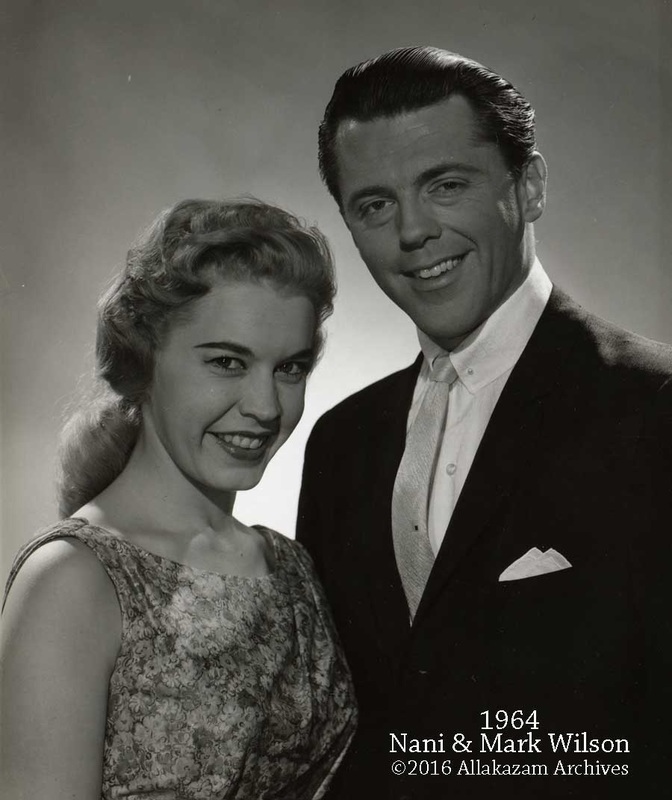 This amazing, never before published, portrait of Nani and Mark is from 1964. I think it's appropriate for Mother's day, as it was taken during the year before I was born... Nani was getting ready to be a mother for the second time, note the glimmer in her eyes. And Daddy Mark, has that "Oh My, I'm exhausted" look in his eyes. Such a beautiful photo, with classic lighting. I wish I knew more about it. Mom and Dad did not have any special stories. But look at how cool Mark's shirt is, with the fancy collar, beautiful texture to the shirt, perfect pocket hanky, and very elegant tie. Nani's dress is so cute too, casual yet elegant. A lovely choice. And this is a rare photo of her with this hair style! I think it's a great discovery. I hope you like it too! Thank you so much for all of your emails, phone calls, cards, and gifts, all sending super kind well wishes for both Mark and Nani’s birthdays! Absolutely fantastic response, thank you all! A “Standing Ovation” response! Mom and Dad both want to write back to each and every one of you, but they are a bit overwhelmed (in a really good way) by so many personal notes. So, they asked me to thank you on their behalf. They have both been sharing stories about all the wonderful thoughts, memories, and experiences that they received all week long. 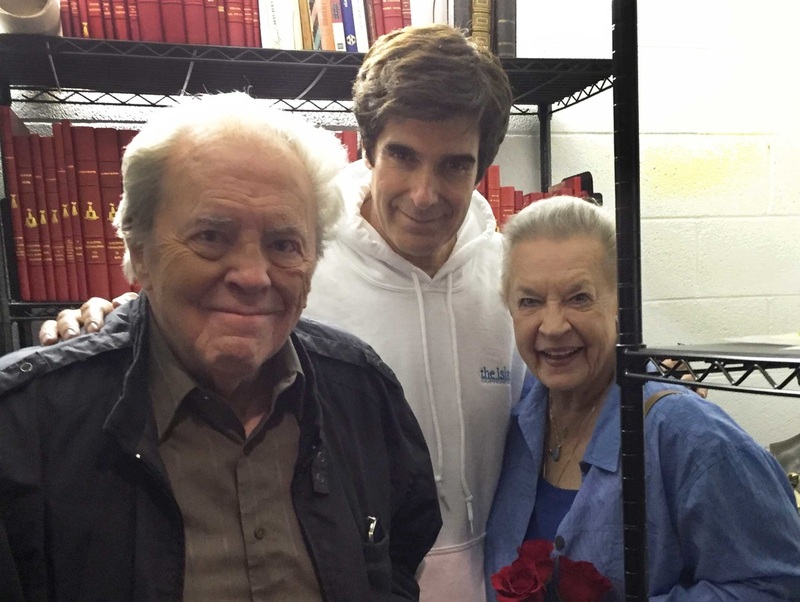 A big surprise on each of their birthdays, Both Dad and Mom individually received phone calls directly from David Copperfield. 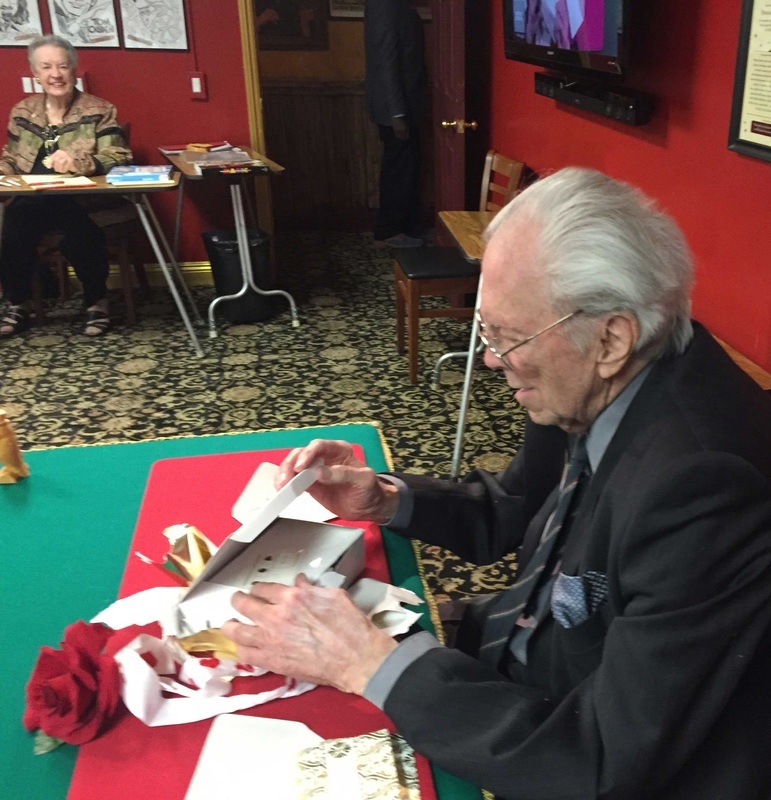 The students in their Magic Classes at the Magic Castle brought cards and gifts. 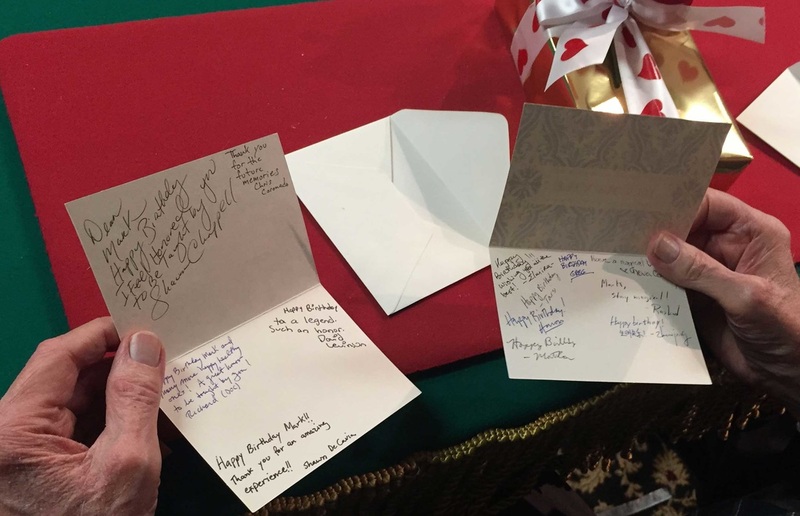 And, Lance Burton sent his well wishes and sweet gifts to each of them as he has been doing for many years. So many people sent beautiful greetings to both Mark and Nani, that's it's impossible for me to list all of the individual "Thank You's" here. But please know that you all had a wonderful, Magical, effect on both of them. Thank you! 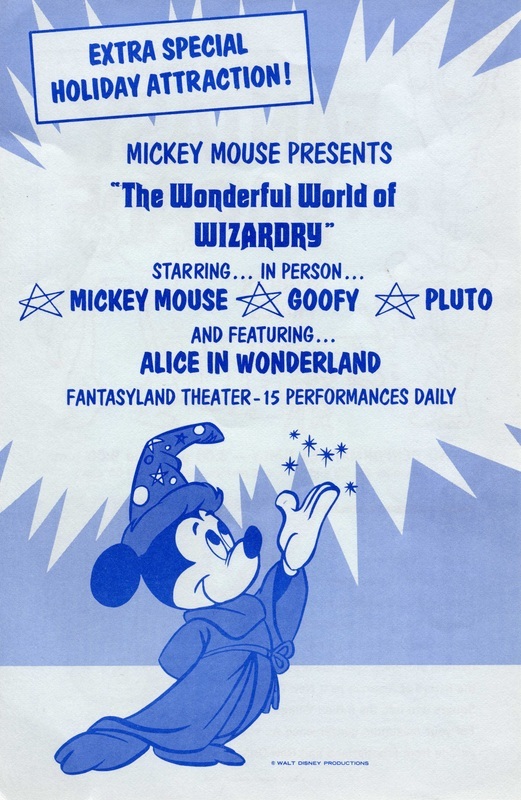 Disney's "Wonderful World of Wizardry!" and a very SPECIAL offer!! 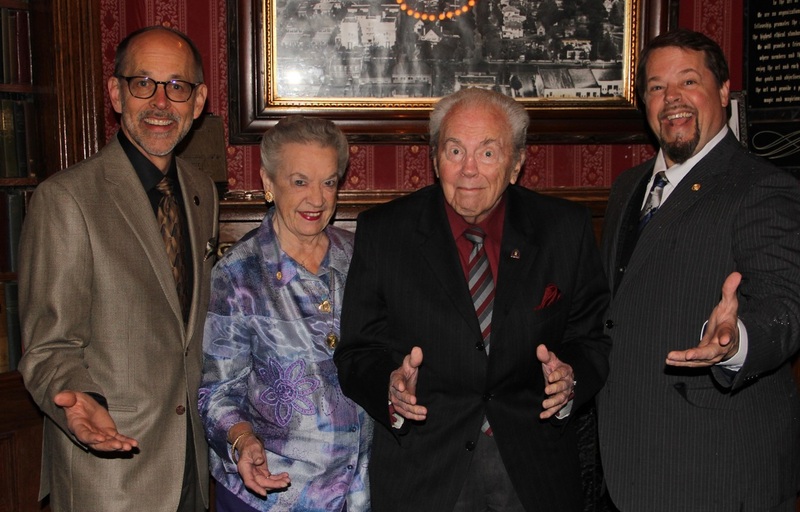 We brought the year in with a fantastic celebration of the show my Dad & his team created for the Fantasyland Theater in 1967. 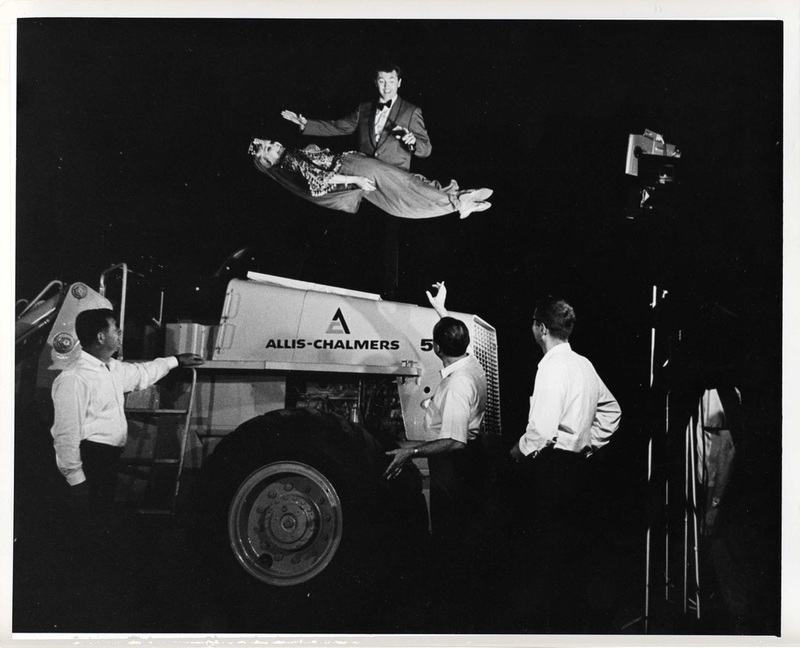 Mark Wilson courted the live show production executives at Disneyland, and sold them the very first Mickey Mouse and Friends, character stage show! This little known fact, transformed how we see the Disney Characters on stage today. 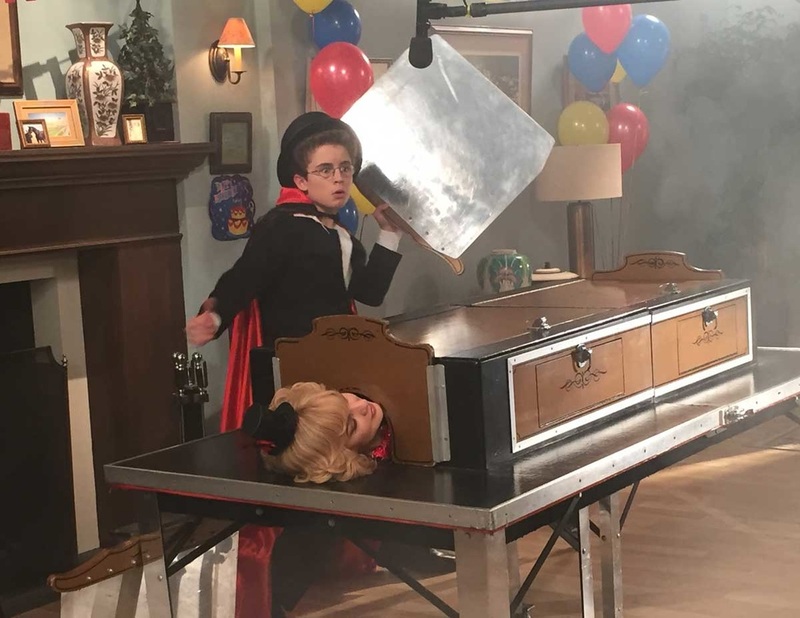 I've been researching this show for a long time. Stan Allen actually saw the show live! I was so excited when he decided to publish the story in the January 2016 issue of MAGIC. Leo Behnke was the stage manager for Mark's production. 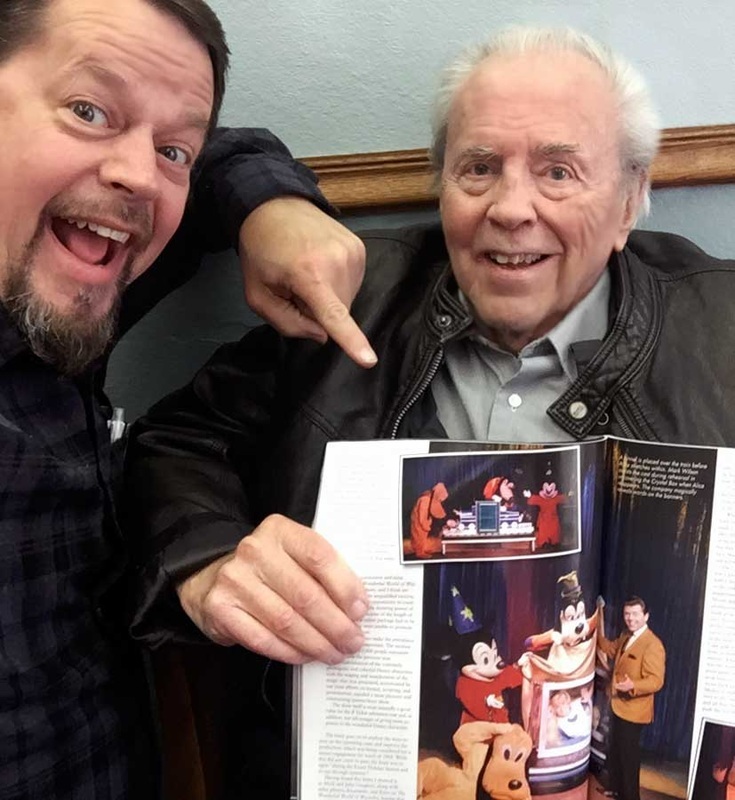 His article, in this issue, is a complete description of the show, with fond behind the scenes memories. In my digging I also found some fantastic Original Kodak B&W Photo Prints made back then (c.1967). 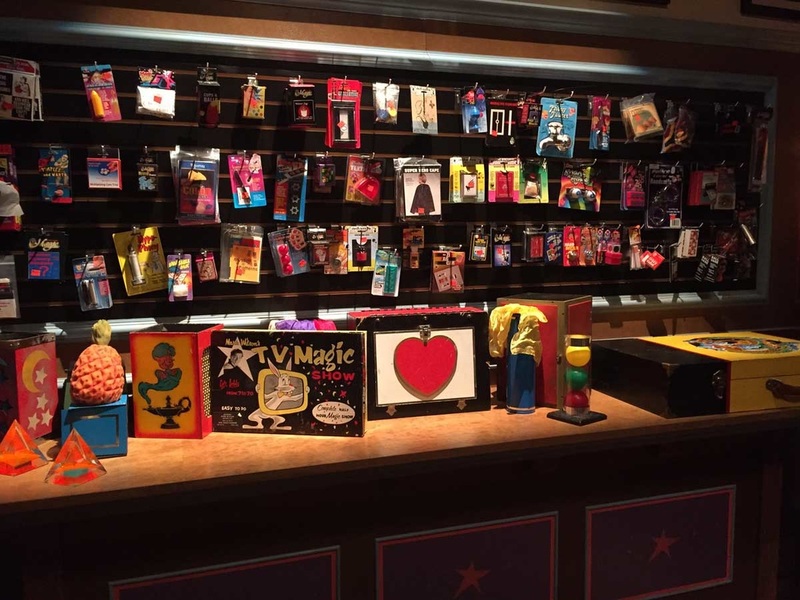 These were for Magical Productions Presentation books, and are the only ones left, making them truly collectible. 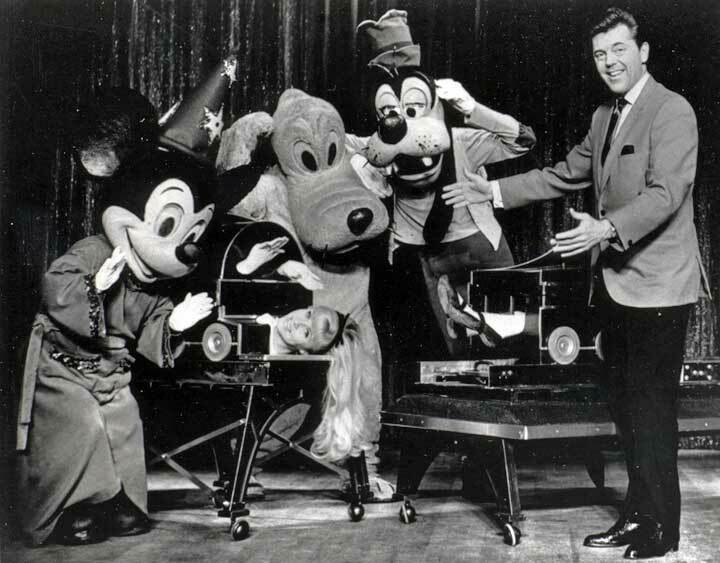 We have just a few full Original 8x10 B&W "glossy's" of Mark Wilson with Mickey and Friends and the original Train. And a selection of smaller images from the actual show. 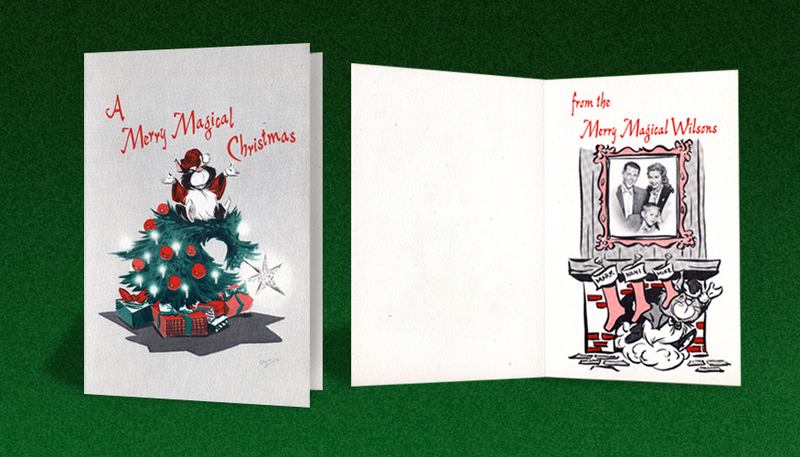 We put them together into three different collections that could be YOURS! 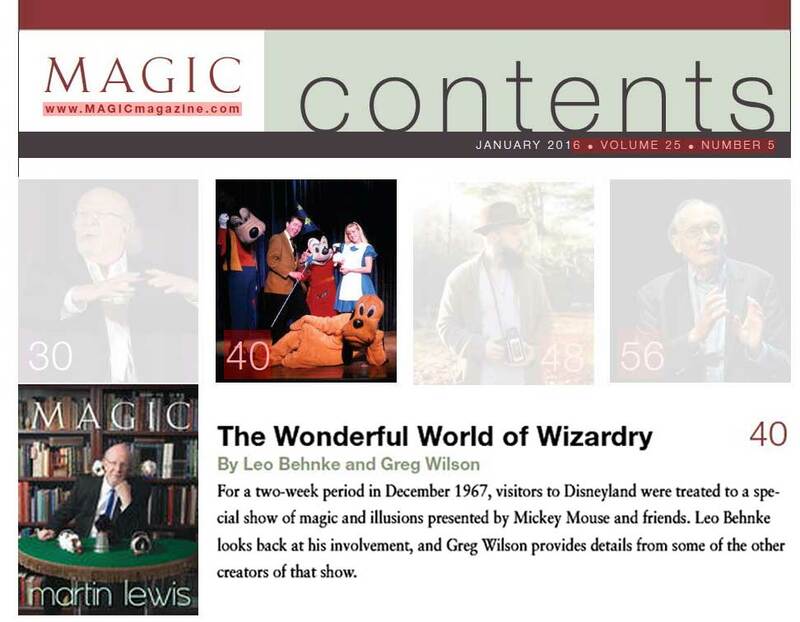 I did all this research, digitization of the images, and professional scanning of the color transparencies used in the MAGIC Magazine article for the love of the Archives. Mom and Dad have been working hard to keep all of the collection together, and now we need your help. 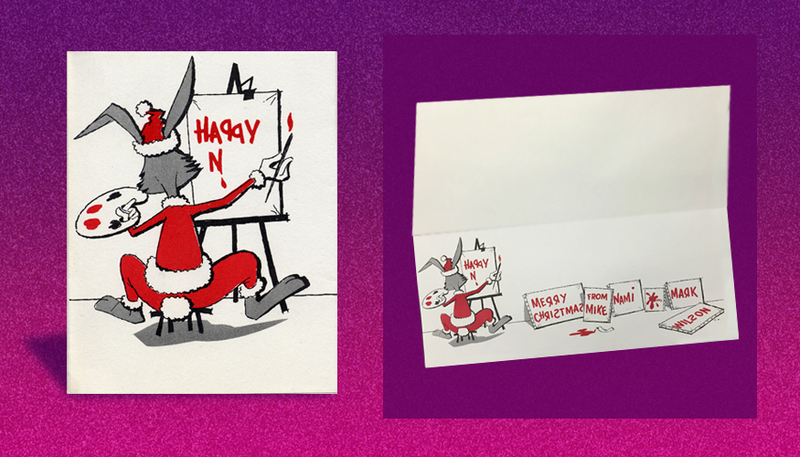 Instead of going to a crowd funding website, I am coming direct to you with a special offer so you can have a real piece of original Mark Wilson and Disney history for your very own! On top of that, get a personalized autographed issue, with the article telling the full story. There are three different sizes of collections, to fit your budget and desire. We want it to be accessible to all. Please know that this purchase, like any from the Allakazam Archives, will go towards funding the maintenance, further exploration, and preservation of this amazing collection. If that link is not working for you, please type this address in your browser. It will take you directly to the Treasure Store. From there you can explore the rest of the growing site. Be sure to get your on collection while they last! 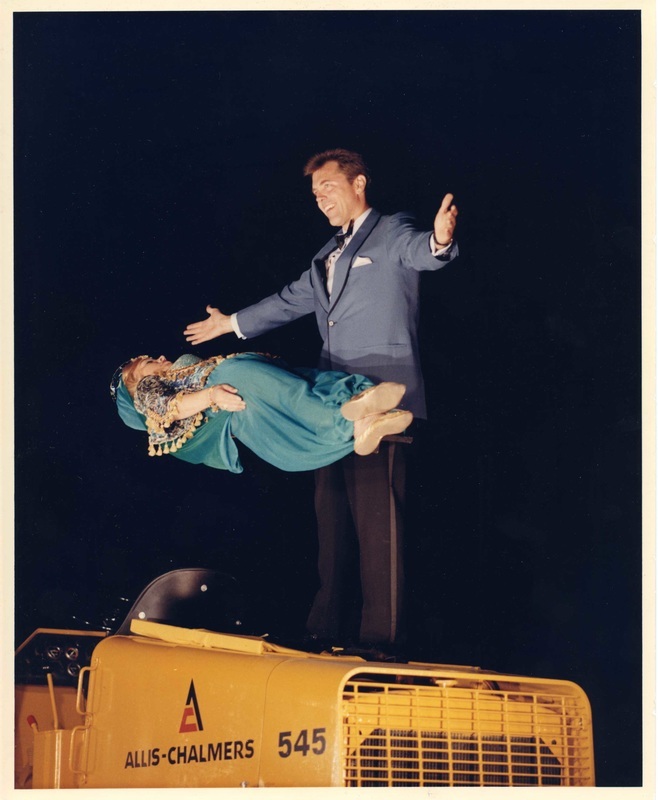 The March issue of MAGIC also featured on the "finally" page, a unique image of Nani in the Train illusion on TOP OF A FORKLIFT! OMG! I was so impressed by my Mother's bravery to take that ride. 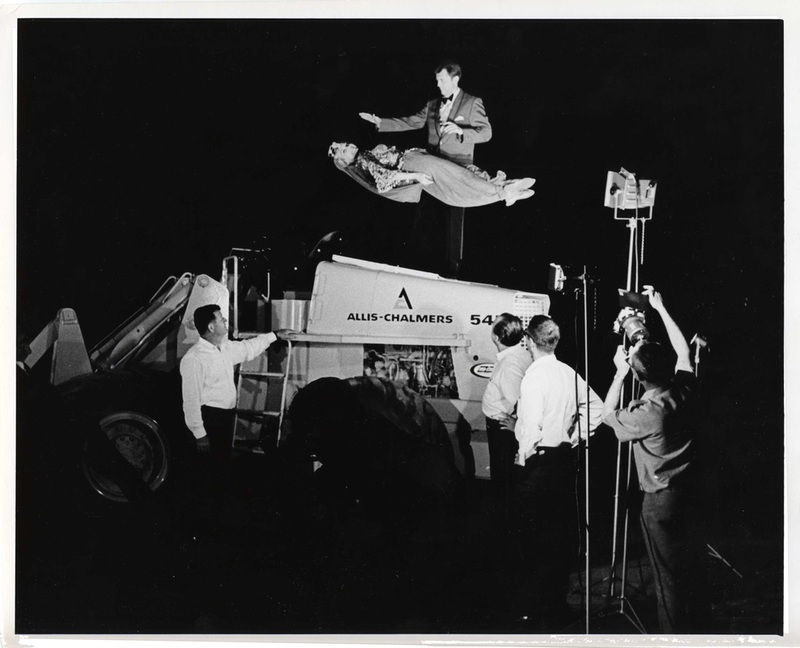 Stan Allen kindly credited the photo to the Allakazam Archives. Another great example of the diverse history of Mark and Nani, and the great people on their team, past and present! 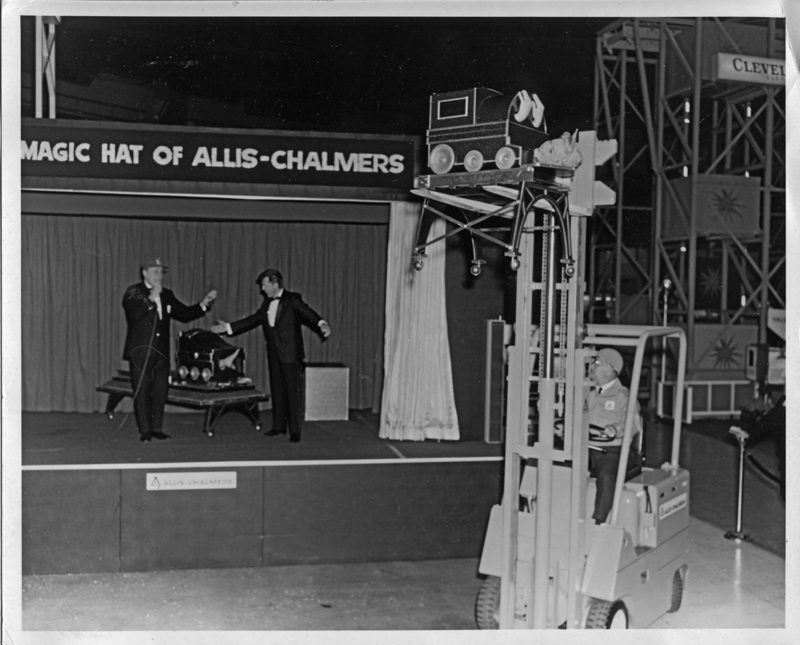 As I continued the search for the full Allis Chalmer's story, I found these images. Great shots, but I don't know the story behind them. I'll ask Mom and Dad, but if any of you out there know more about it, please write to me, so we can share it with the rest of our Allaka-Friends. These are pretty wild shots! 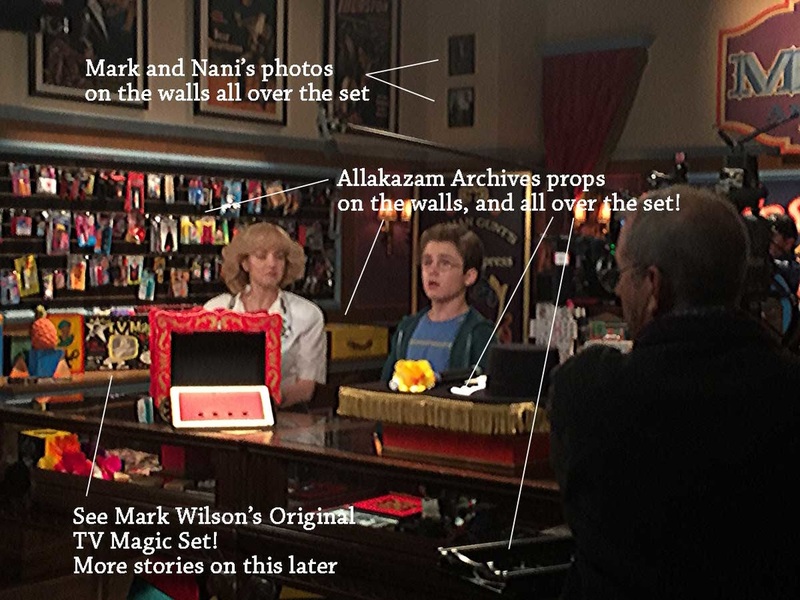 I’m so happy to say, that the Allakazam Archives has also been a part of some pretty exciting Television projects. 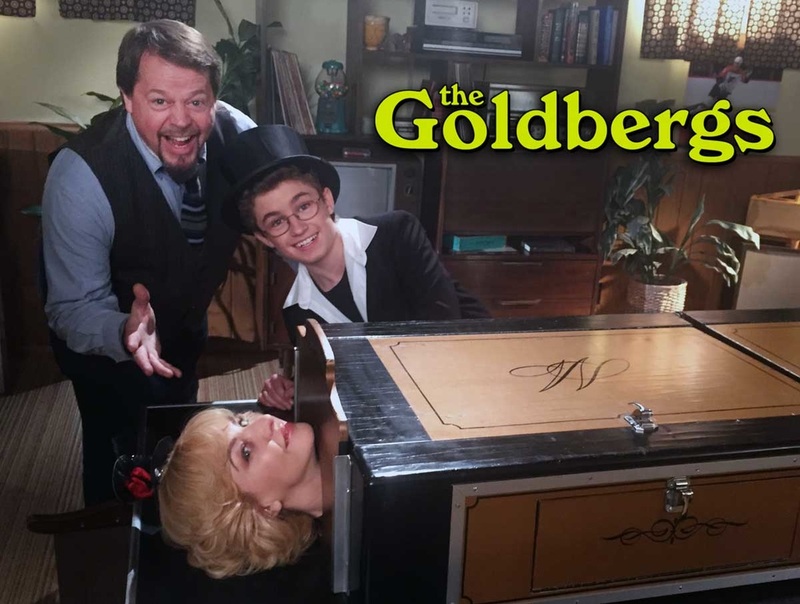 "The Goldbergs" featured a large set dressing rental from our collection, and Justin Willman brought Greg Wilson in to help teach the Sawing in Half to Wendy McLendon-Covey (plays Beverly Goldberg), and Sean Giambrone (plays Adam Goldberg). Thank you Justin Willman (Justin Credible) for using the resources of the Allakazam Archives. 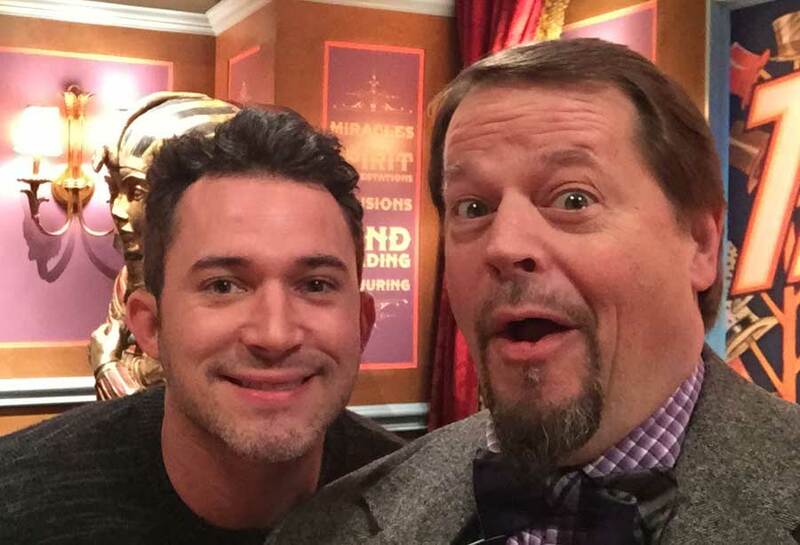 Justin Willman and Greg Wilson On the set of, "The Goldbergs"
Allakazam Archives has also been featured on Steve Harvey's new show, "Little Big Shots," for our good friend Taylor Reed, when his children did a magic segment. 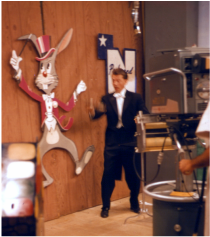 We supplied the Allakazam Modern Cabinet, originally built for the Jackie Gleason show in the early 60s. Thanks to you Taylor for thinking of us! And a few months ago, I was so lucky to teach Sir Patrick Stewart and James Corden how to perform the Allakazam Hat and the Thin Sawing for "The Late Late Show!" 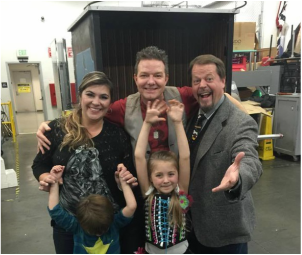 I brought two fantastic team members to help with the live performance, the incredilble Brandy LaPlante, and Angel D'Cole. If you missed it, it went viral! Watch closely, and you can see me in the audience. There is a slight boo boo that happens, which is why we got so much coverage. Fortunately the editors cut away quickly! Sir Patrick Stewart was amazing! 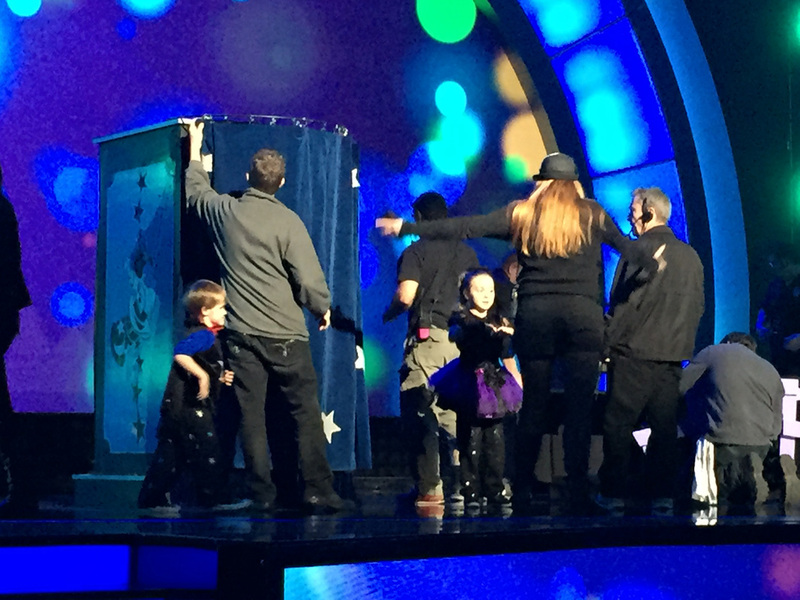 Thank you to James Corden and his production team for featuring our magic. I have more stories to catch you up on, but it's after midnight, and Mother's Day is over. This newsletter has taken many many hours, actually days, to accumulate and put together for you. Please write back to us, so we know we are on track, telling you the stories you want to know, and sharing the behind-the-scenes discoveries you want to see! Thank you for all your love and support. We continually have more items to offer, and more for you to add to your personal collections. 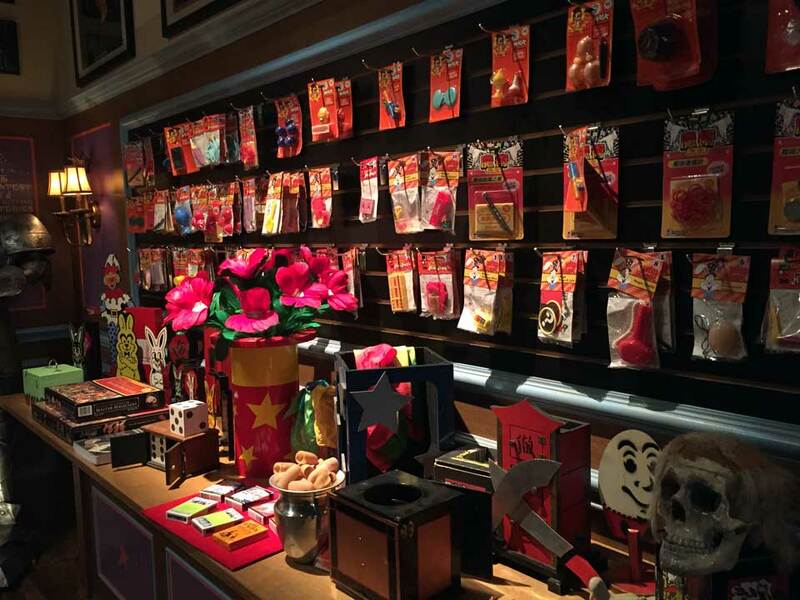 Please visit the Treasure Store and see what's new. But as the saying goes, once it's gone, it's gone! Take me to the ALLAKAZAM ARCHIVES TREASURE STORE!